From my own experience, being rushed creates stress and anxiety and results in poor focus, low productivity and decrease in health and happiness. It definitely happened to me when I had my digital marketing agency. My health deteriorated, my exercise routine suffered, the quality of my work suffered and my relationships with people and my husband took a downward turn. Bringing balance back in my life with a morning routine, mindfulness practice, regular exercise, time in nature, setting up technology boundaries and in general slowing things down is what turned my life around. 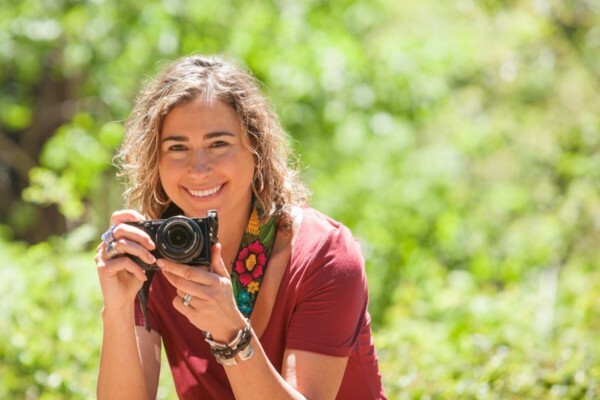 As a part of my series about “How to Slow Down To Do More” I had the pleasure to interview Milena Regos, the cofounder of Unhustle™ an award winning digital marketer for 20+ years, ski resort marketing director for a decade, and a previous digital marketing agency owner, Milena decided to leave a successful digital marketing career, and slow life down to accomplish more. To do so, she transitioned into a Human Potential Coach and leader for the Unhustle™ movement. Unhustle™ is a lifestyle movement offering education, transformational programs and retreats. It’s focused on getting people to slow life down, investing in mindbody wellbeing, real human connection, spending time in nature away from technology, self care, functional movement, being present and living a more mindful life. Milena co-founded the company with her husband in 2018, after the two of them decided to change their own lives a few years back and slow down to appreciate life more. They are now on a path to transform people’s lives through the power of transformational coaching, workshops, webinars, programs and retreats with physical locations in Lake Tahoe and Baja, California Sur where the couple lives. Milena has a BA from the American University in Bulgaria and an MBA from the Alliant University in San Diego. Upon graduating from the American University in Bulgaria, I began work for the largest advertising agency in Bulgaria with international clients like Pepsi. I then decided to pursue a Master’s Degree in International Marketing in San Diego and came to the US in 1996. Along the way, I discovered Lake Tahoe and as a ski racer from my childhood was immediately drawn to the mountains. I’ve lived in Lake Tahoe since 1998. I now split the year and my passion for the outdoors between Lake Tahoe and Baja California Sur. While in Lake Tahoe, I worked for a media agency during the dot com era where I formed the Internet division of the agency. I spent a decade as the Marketing Director for Diamond Peak Ski Resort in Incline Village, prior to setting up my own award-winning digital marketing agency, Out&About Marketing. The agency’s clients included Madonna’s Hard Candy Fitness, Steve Nash Fitness World, UFC Gym, Squaw Valley, 1–800-Flowers, Dr. Weil and more. But success wasn’t enough. I came to realize that spending too much time in front of a computer screen had an effect on my own mental clarity, overall wellbeing and happiness. This is when, my husband and I decided to change our life and start spending the winters in Baja, living and working remotely from our airstream. I discovered Human Potential Coaching through the Human Potential Institute / Bulletproof Institute. Together with my husband, we decided to launch the Unhustle™ lifestyle movement and retreats, appealing to entrepreneurs and busy professionals who need to slow life down, claim back some of their time, invest in mindbody wellbeing, digital detox, time in nature, proper nutrition and exercise. Technology and social media have changed the way people go through their days and have had a profound effect on our society. We are constantly bombarded with information, notifications, messages, emails. We are always connected to a stream of information and our brains are working hard to process it all. Companies are creating and pushing out more and more content online and advertising is getting more and more targeted. People are turning into walking machines, zombie like with a phone attachment, constantly connected, always on, always scrolling. There’s a trend in the US to achieve more, buy more, do more, stay busy, sleep less, hustle more. The advice of hustling has taken over our society with a storm, especially in the U.S. It’s time to pause, breathe and reflect on what is really important in life. It’s time to gain back our time, our clarity, invest more in self care. Entrepreneurs and businessmen (women) and people in general can benefit from investing time in their own wellbeing and happiness. This can be achieved by slowing life down, taking time away from technology, spending time in nature, being more in our bodies and less in our minds, eating well, sleeping enough, being present, eating mindfully. With Unhustle, we are on a mission to change people’s mindsets, shift their perspectives and change lives. The Mayo clinic states that stress leads to high blood pressure, heart disease, obesity and diabetes. When one experiences anxiety and feeling overwhelmed it’s hard to feel happy. Poor sleep, digestive disorders, lack of motivation and focus are all results of too much stress and feeling rushed all the time. A Harvard Study states that being overworked can cause an early death. I know I had elevated stress hormones, elevated thyroid, digestive problems, poor sleep, irritability, anger, and feelings of overwhelmed when I was under long periods of stress. When we take time to slow down we can focus on the one thing we are doing, in this very moment. When we are completely engaged in this one thing, we enter into a state of flow. In this state of flow is where creativity and productivity increases and satisfaction with one’s work goes up. Musicians and artists get into this state of flow easily when they compose music or paint. They are engaged, present, in the moment. Without the distractions and the rush, our stress levels go down and we become more attuned with our bodies and our surroundings. Only then we are able to tap into the intelligence of our bodies and listen to our intuition. Slowing down in work is one thing but we can also slow down our mornings, slow down when eating, even slow down when exercising, slow down when cooking. When we slow down, we are better able to establish our priorities, see the big picture and have a clear idea of what to do next. I have a plan for slowing down and what I call “unhustling.” These tips are easy for everyone to implement right away. Breathe — Breathing deeply calms the nervous system. Start your morning with some deep breathing belly exercises. Breathe with your belly and watch your stress level decrease. Throughout the day when you feel overwhelmed and stressed out, return to this deep breathing. Meditation and mindfulness — Starting and ending your day with time for reflection and meditation is beneficial to mental health, experiencing positive emotions and slowing down. There are various meditation and mindfulness practices and one can start with just 5 min a day. There are apps that provide meditation practices like Calm, Headspace and Insight Timer. It took me a while to get into a regular meditation practice because I couldn’t sit cross legged for a long period of time without getting uncomfortable. I discovered Light Watkins’ approach to meditation with his book: “Bliss More”. I realized that you need to be comfortable to allow your mind to relax. Now I sit on the couch or even lie down to meditate. So don’t let the stigma about what proper meditation looks like prevent you from giving this practice a go. Even if your mind wanders, you are still getting benefits from sitting still for a few minutes. I prefer to do it first thing in the morning before my mind gets busy with other things but sometimes middle of the day or evening practice work well for me. Setting 20 min aside in a busy day for mindfulness practice for me is really important for keeping calm, focused, happy and productive. Yoga — Slow movement like yoga, tai chi or chi gong provide an alternative to an always on, full speed lifestyle. Of course, getting cardio and strength training are important to overall exercise program but slowing things down even in workouts and incorporating these practices into one’s life are also beneficial to slowing life down. Time in nature — Nature is a powerful healer and stress releaser. Go outside even if it’s for 5 minutes. Go for a short walk. Focus on your breathing. Leave your phone at home/office so you are not tempted to look at your screen. Nature contributes to overall well being, reduces blood pressure, heart rate, muscle tension. Nature boosts your mood, keeps you in the present and energizes you. Tech free time — allow yourself to spend time without looking at a screen. Let your mind wander. Instead of scrolling down waiting in line in the grocery store, let yourself observe the world around you. Establish boundaries with technology especially at night. Disconnect from all devices at 7pm as research shows that being in front of a screen after dark decreases your melatonin and affects your sleep. It is when you let your mind wander and connect with the world around you that you become more present and mindful. Mindful eating — cook meals mindfully and eat mindfully. Instead of eating in front of your computer, take time to enjoy your meal. By seeing your food, the colors, the texture, the taste you enjoy the experience more. This reduces food cravings and allows you to slow time, sit with yourself and have a pleasurable experience. Plus it’s beneficial for your digestion system. I’m trained by the Human Potential Institute where we engaged in a 8 week mindfulness program deeply rooted in the MBSR technique established by Jon Kabat Zinn. According to this training, mindfulness means paying attention in a particular way on purpose, in the present moment non judgmentally. 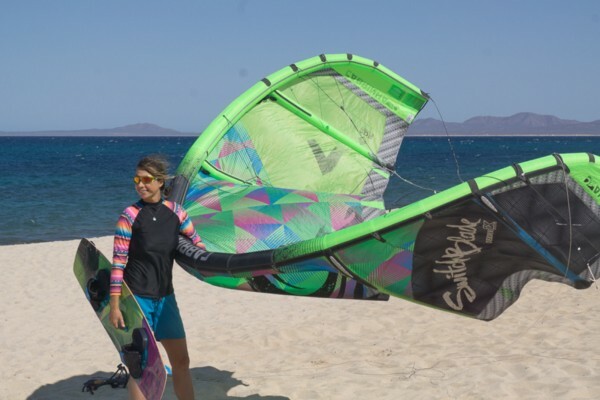 My first experience with mindfulness was when I decided to learn to kiteboard in Baja California Sur. In a moment when I felt pushed to the edge, physically and emotionally, I realized that I had to be completely present. It was an eye opening experience and my first introduction to mindfulness. Still to this day, when I go out in the ocean with a kite I’m reminded of my first mindfulness experience. For me yoga also gives me an opportunity to be mindful. Nowadays, I’m mindful when talking with people, eating, showering, working, cleaning, walking. Mindfulness is savoring the present moment. To experience mindfulness into our everyday lives, we can connect more with our bodies. In Western society, we spend too much time in our heads and not enough in our bodies. Self care practices are another way to incorporate mindfulness into our lives. We all have an inner self critic. Our minds control us without us realizing it. Bringing mindfulness to our thinking allows us to experience greater freedom. Being able to be kinder to ourselves is a mindfulness practice as well. Mindful listening and communication with people throughout the day is an important component of mindful living. Cultivating resilience to deal with everyday stress is also a mindfulness practice. My friend Pierre Khawand has developed a mindfulness app for work called Hello Mindful App. It allows you to capture thoughts and get back to the task at hand. In the app you can also set a 15 min period of focus without any emails and notification distractions and then take a break so you can stay focused on your project. “Bliss More” — Light Watkins offers a good introduction to meditation. He also sends out a daily email. Mindful Living Retreat by my own company Unhustle™. We’ll plan to offer this 7 day retreat every year in Baja California Sur in the small town of La Ventana to introduce people to how to live a mindful life. Richard Branson is my favorite business person. He says: “I don’t think of work as work and play as play. It’s all living.” I’m a firm believer in this philosophy and have been lucky to incorporate it in my own life. 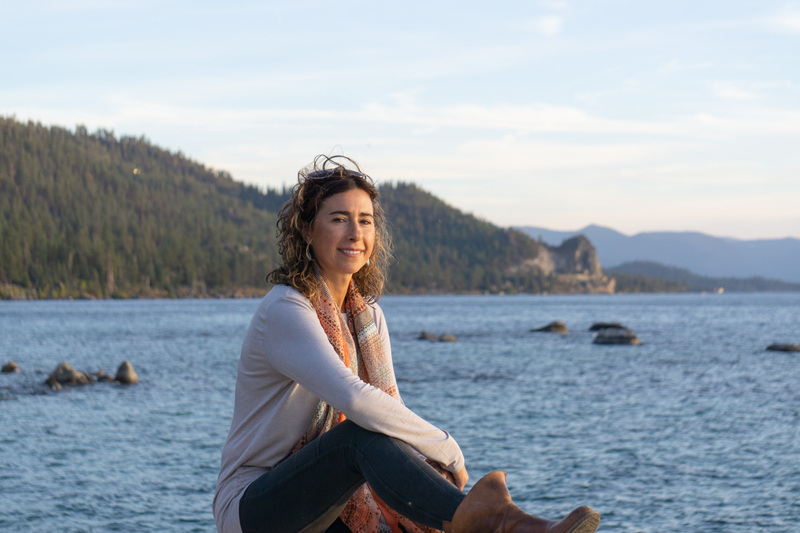 Living between Lake Tahoe and Baja, being close to the outdoors and nature, doing activities that bring me joy while having meaningful work brings me a lot of satisfaction and happiness. I’m working on inspiring people to Unhustle. If I can get people to Unhustle a little bit each day or take a few days to slow down and reset, I’ll be happy.